How slack am I, it’s taken me all week to write this blog. Sorry! 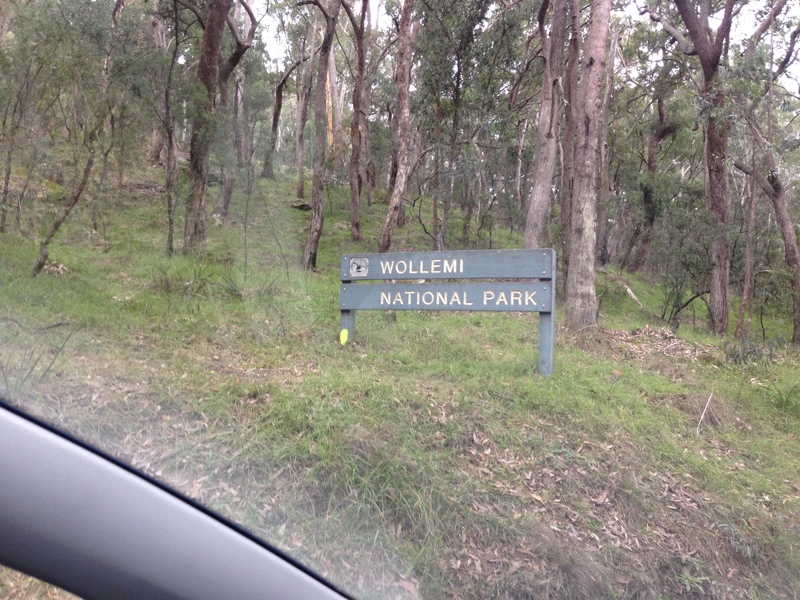 Last Friday I set off to Newnes for a camping / running weekend as part of the Glow Worm Tunnel Marathon & Half Marathon. 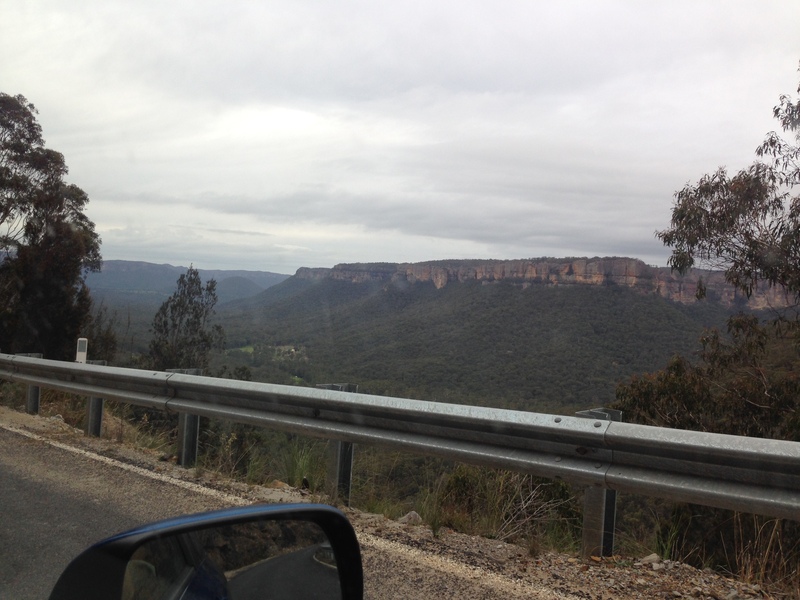 After driving through Lithgow I was blown away by the size of the mountains and cliffs around me, it was breathtaking…….. my photos do not do it any justice so next year you’re all going to have to head out there and see it for yourselves. As I drove through the beautiful cliffs that towered around me I felt like I had escaped to another world, it was so calming and set me in good spirits for the weekend ahead. The plan was to race on Saturday in the half marathon & volunteer to help out on Sunday if they needed it. So that meant 2 nights of camping in my tent with 80% chance of rain predicted for the whole weekend. I thought at the time, this could get interesting. 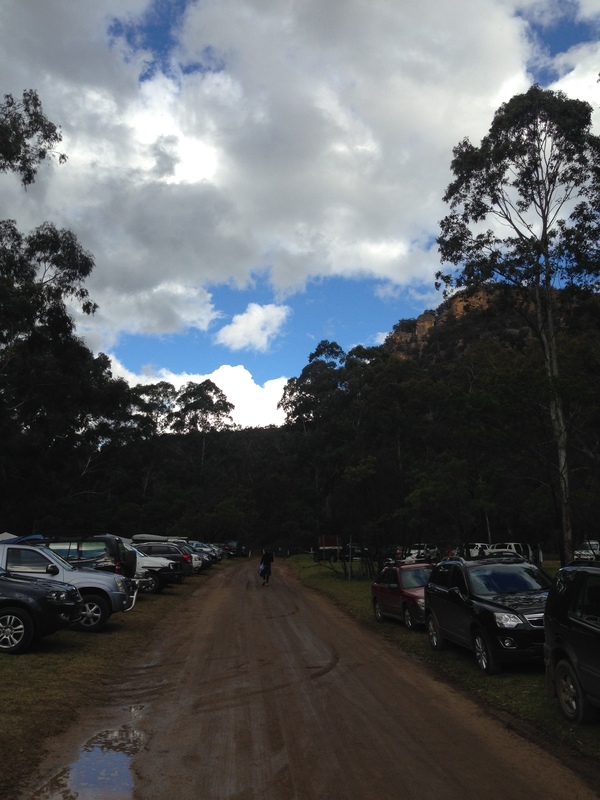 I pulled into Newnes and it seems the organisers were running a little late and I could not register straight away so i set off to put up my tent and met my fellow neighbors Pete & Maddy (his daughter) who was running the half, and Deb who was sleeping in her ute and also running the half. They were both great and gave me an extra pair of hands when putting up and pulling down the tent. Aside from helping with the tent they were very nice people. Eventually I was able to register and pick up my race T-shirt, so headed back to the tent to get everything organised for tomorrow’s race. I was starting to feel nervous and also very tired. I got everything out ready for the run & headed out to have some dinner at the pre-organised buffet at camp HQ. It was a bit cold, but not too bad. Thankfully I had ran into Andy from Striders on the way to dinner so we sat and chatted with some other runners about race day tactics and shared other running stories. After dinner I headed back to the tent and Deb and I decided to go for a walk along the first section of the course to check it out. It was dark by now so we took our torches and made sure we were rugged up warm. We were also thankful that there hadn’t been any rain yet – fingers were crossed!! There was a short fire trail road section which met the first river crossing, however we managed to get across and stay dry using the stepping stones on the right hand side. Mental note for the morning, stay to the right and use the stepping stones so we can keep our feet dry for as long as possible. We walked and chatted and it was great to get to know Deb, she’s had a pretty horrific 5 weeks leading up the race and I admired her for being there and being so brave. I really do hope she adds me on bookface as i’d like to keep in contact with her and wasn’t able to find her so far. So we walked for a couple of kms then headed back to camp. I chatted to Deb for a little outside our tents but it started to rain so i retreated inside for an early night. It was 7.30pm. And I slept like a baby… that is, until I woke up to a soggy sleeping bag and water dripping in several locations throughout. Not a great thing, but at least it hadn’t made me too cold and luckily missed my running gear and clothes so at least they were all dry. I got up and had brekkie at 6.00am, race start was 8.00am so I had a few hours to digest the meal and I kept it light. Toast with honey, a banana and thankfully a ‘real’ coffee from the baristas who were there for the whole weekend (thank you). 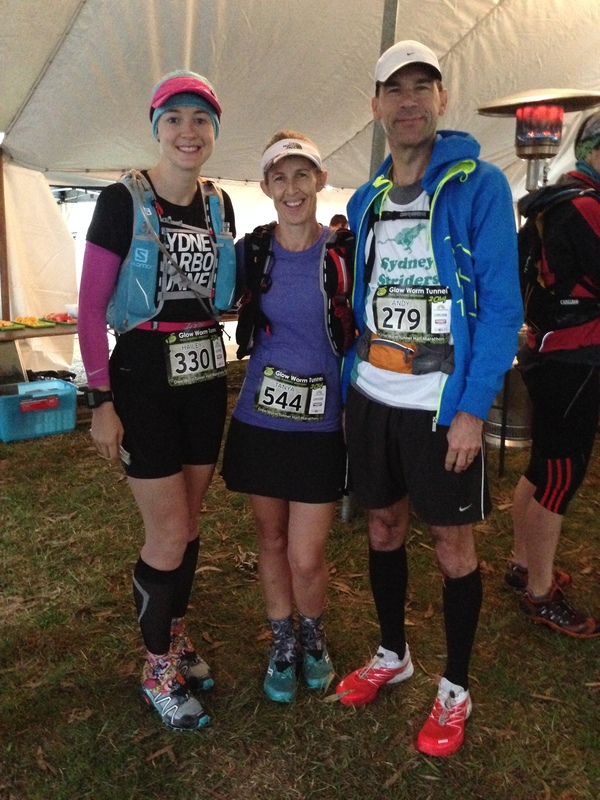 After that I headed back to the tent to get ready and made my way to the start line for the race briefing, where I saw Tanya & Andy eager and ready to run. It poured, I mean bucketed down during the race briefing and it was cold. Not as cold as the previous year (so i’m told). But the clouds parted and as we set off the rain became a drizzle and for most of the run it did not rain at all, only spots. 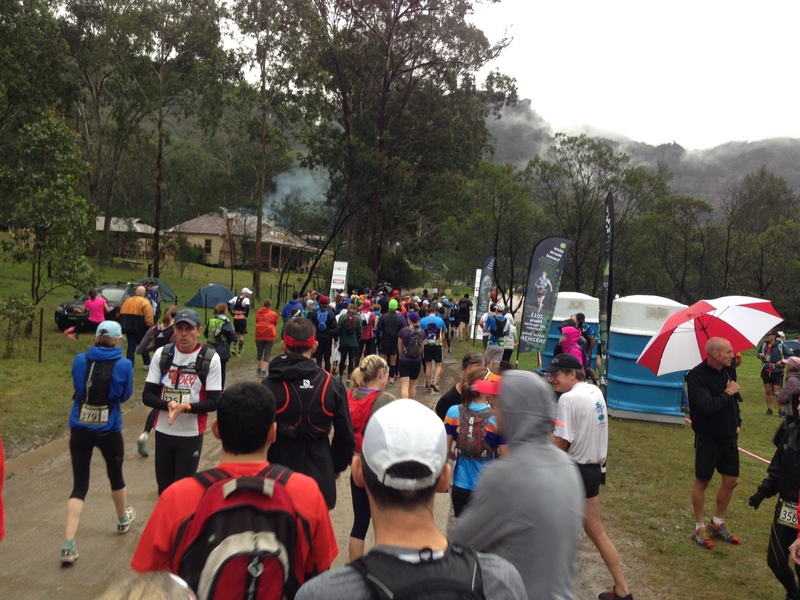 Here’s a shot of us heading towards the start line, that’s the old Newnes Hotel in the background on the left, they do a mean plunger coffee for only $3 and the place is a museum, a must visit if you’re ever in the area. We were off and racing and as planned I stuck to the right and managed to keep my feet dry crossing the river, which had not gotten any bigger since the night before so the stepping stones were clearly visible. 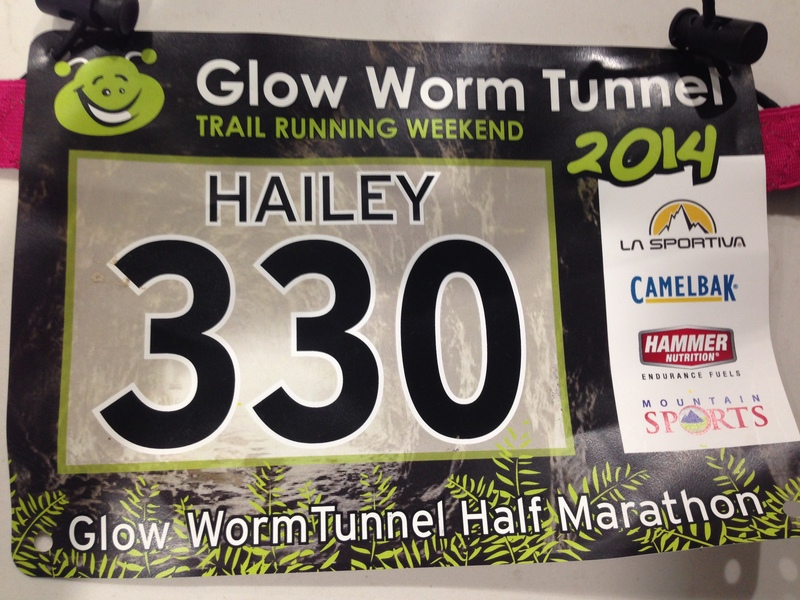 The first half of this run was mostly incline all the way up to the Glow Worm Tunnel, so i knew it would be tough. However it was all very ‘runnable’ and there was not a lot of walking done at all for the entire course. I was breathing a little heavier than usual but this was to be expected as it was all incline, so I just told myself to get into a rhythm and stick with it. I passed a few people in the first 7km leading up to the checkpoint and saw one lady wearing no shoes, plus two others in just sandles. It was muddy, slippery and lots of branches and debris around so i hoped we would all stay safe. I ran through the checkpoint thanking the volunteers and waving as i went. I was carrying all the water and food that i would need so there was no point wasting time here. I chatted with some lovely runners, a guy named Ian who is working a an engineer on the Barangaroo Project in Sydney, funnily enough our company will be moving there in a couple of years. Then I chatted to another Deb and as we got towards the Glow Worm tunnel we all slowed down to get out our torches. It was pitch black in the cave and thankfully the guy behind me had a stronger beam than mine, as mine was not helping at all. Unfortunately I did not see any Glow Worms 😦 Maybe with all the runners coming through we had been too loud and scared them, it;s a shame but I know i’ll be back. There were cameras set up at this point too so hopefully I’ve got some good shots coming as I didn’t take my phone out to get an pictures. After the tunnel was a few small hills and then it meant the rest was all decline. My strength is going downhill so my plan was to gun it from here to the end. There were some large downhill sections and I just let myself go, I was flying down some of these hills and i think some people thought I was crazy as I really was going fast. My Garmin told me that I was doing 4’06” pace at the steepest section (almost as fast as Shaun & Mike on the flat, ha ha). I loved the second half of this course and felt great. It had started to sprinkle which cooled me down nicely and I stayed at a constant pace for most of the rest of the course. The first and last 7km were the same section, so once I got to the checkpoint I knew what was coming. Then I rolled my ankle and fell to the floor. I think it was actually a good thing that I fell as it took a bit of the pressure off my ankle, but my knees were pretty cut up and the ankle was not feeling good at all. I stayed on the ground for a minute and then slowly got back up to my feet and tried to run. I will admit that it hurt to run but I kept going and eventually the pain subsided. As i was approaching the final river crossing I’d decided that I would not take the stepping stones this time, instead I would plunge into the water and finish strong. And that’s exactly what I did, I even managed to pick up about 8 places as I overtook a whole group of ladies who were (being girl) using the stepping stones. How cool is that!! I crossed the line on 2hr 35 minutes which is much quicker than I had expected, especially as it was my first long run since TNF 4 weeks earlier. I was so happy to have finished the race and had no issues with my hip/tendons which was the reason i had to pull out of TNF. This was an awesome day – I was back and there’s no stopping me now!! 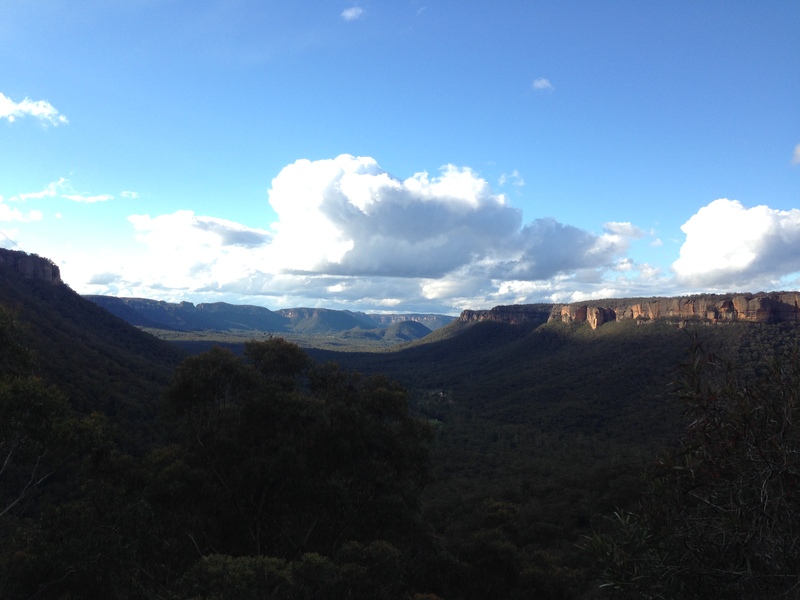 Below is the view back towards the road leading into Newnes. I ended up only staying for a couple of hours after the race, enough time to see Tanya head off and finish the 6km race. Can you believe she actually was entered into all 4 runs that weekend..!?!? 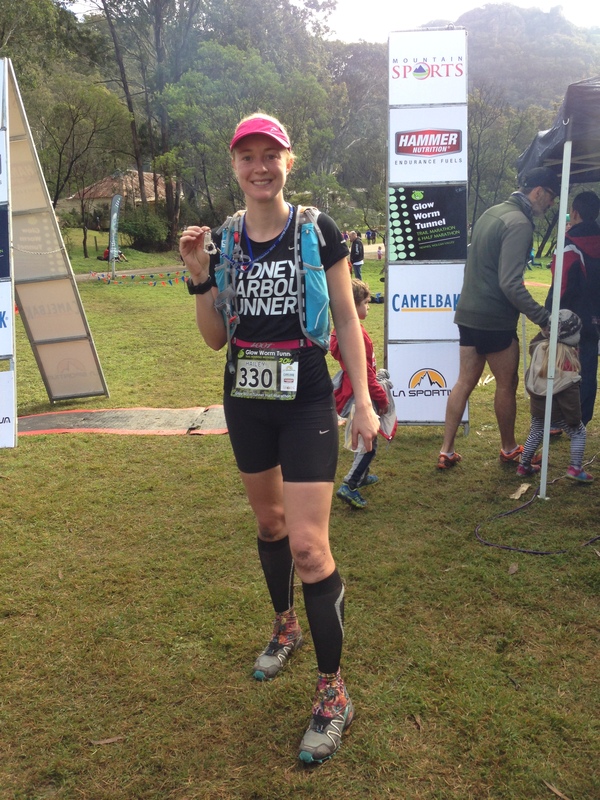 She did the half marathon, 6km, mountain dash & finished with the full marathon on the Sunday – she’s a machine! Great work Tanya! So i packed up my soggy tent and belongings as there was more rain predicted and I did not fancy another night of getting wet and the possibility of it making me ill. It was pretty cold out there but the weather had cleared up a little so thankfully some of the water had evaporated. I said my farewells and hit the road back home, i was looking forward to seeing my man and sleeping in a warm, dry, comfy bed. 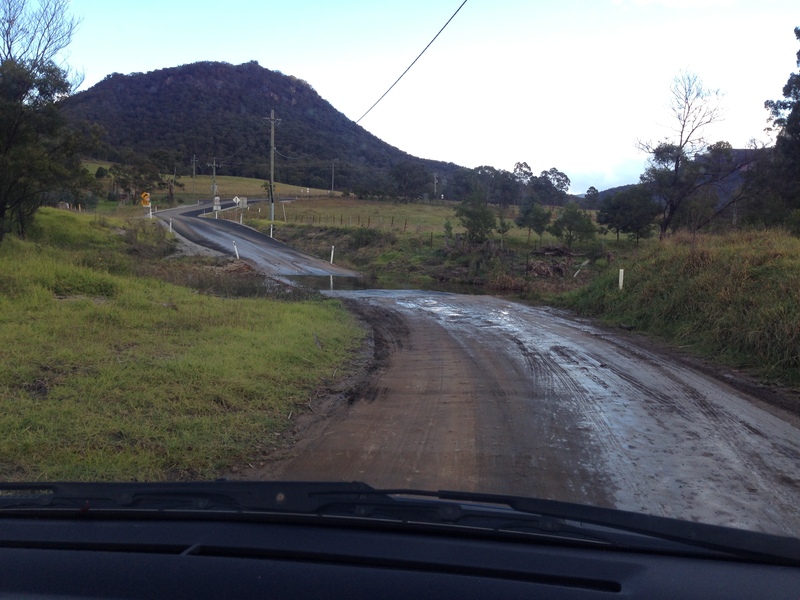 The road leading out of Newnes was beautiful again I even had a small river crossing that was no challenge for my Yaris! 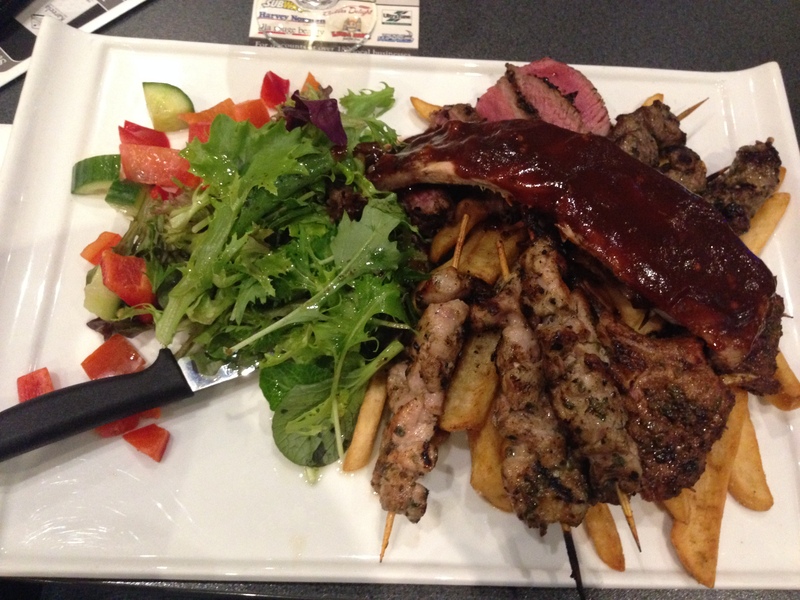 And my dinner that night, well……. 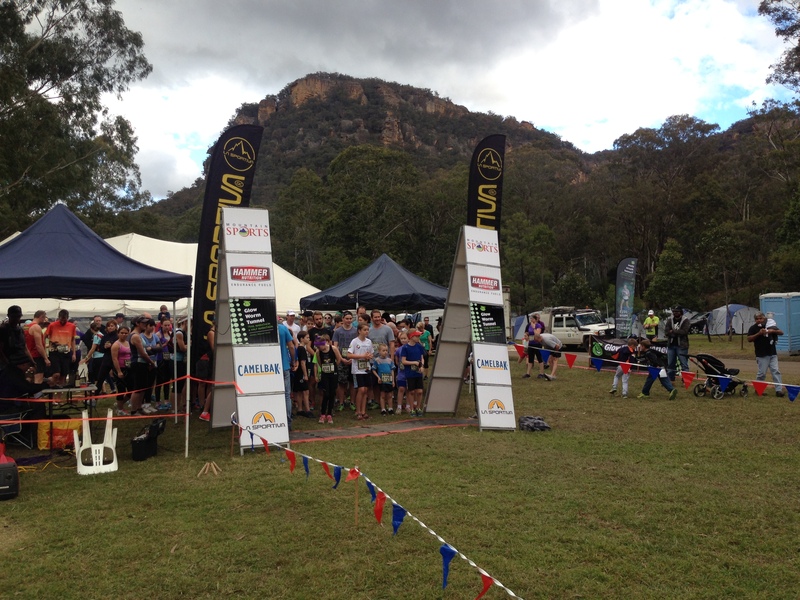 This entry was posted in Race Days and tagged #running, bush, camping, garmin, glowwormtunnelmarathon, mountainsports, newnes, salomon, trailrunning, trails, wolganvalley, wolleminenationalpark by laurenhailey. Bookmark the permalink.